I am so excited that December is here! I can't believe how fast the year has gone by, but this month brings so many fun times. While I'm super excited for December, November was a great month too and I have lots to share, including a very warm Thanksgiving! 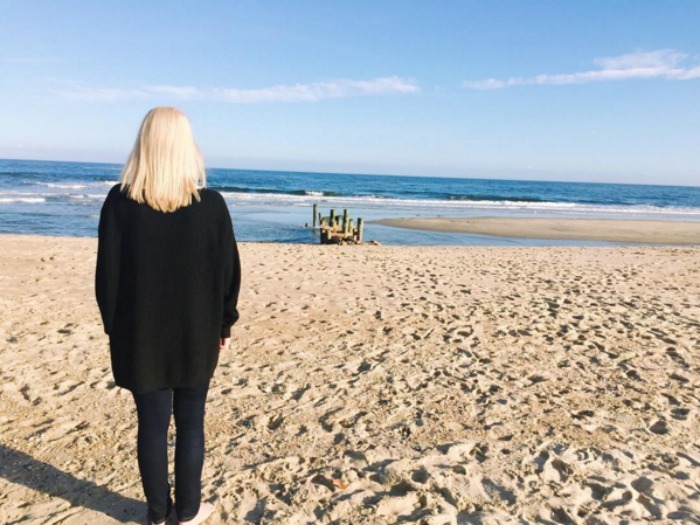 Here is my Instagram (follow me at @theblushblonde) recap of what was going on with me last month. I kicked off the month of November with a horrible sinus infection/strep throat combination that just wouldn't quit. I went home to rest up and after going to Starbucks to get some tea I headed to the beach to breath in the salt air. It was an overcast day, but the temperature was just right and I thought the water and sky looked beautiful. 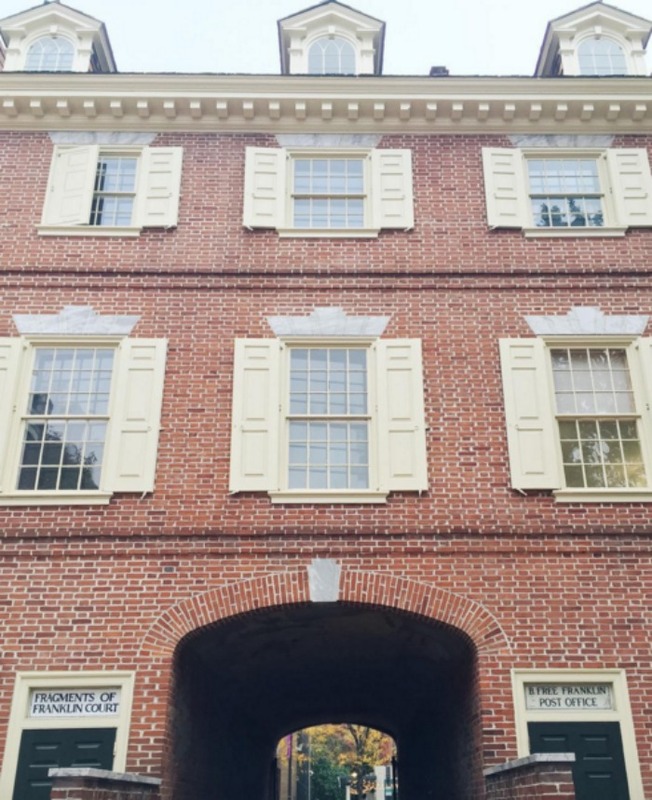 One day while I was in Old City in Philadelphia I made a wrong turn and happened upon the spot where Ben Franklin's house once stood. There is so many gorgeous historical sites in the city and it's always fun to find ones I haven't seen before. 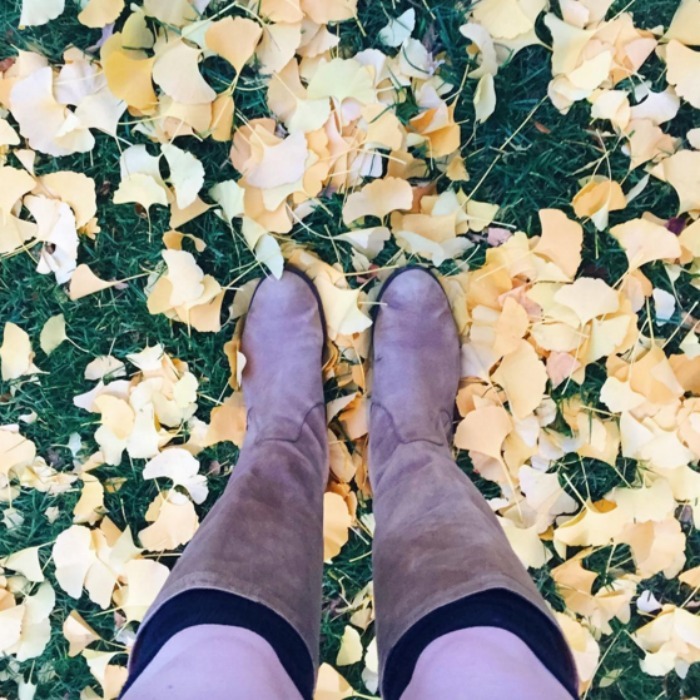 Leaves are one of my favorite things about fall! They're so pretty, even when they're on the ground. I was really loving these yellow leaves and I couldn't resist taking a picture of them. There is a small cafe by school that makes the most amazing Cinnamon Bun French Toast. I'm actually pretty sure I could eat it every day, I'm kind of obsessed with it. My Dad came to visit me one day to bring me a few things I needed from home and we went and had brunch at the cafe where I snapped this shot. I've literally never gotten anything else on the menu before because this is just too good! 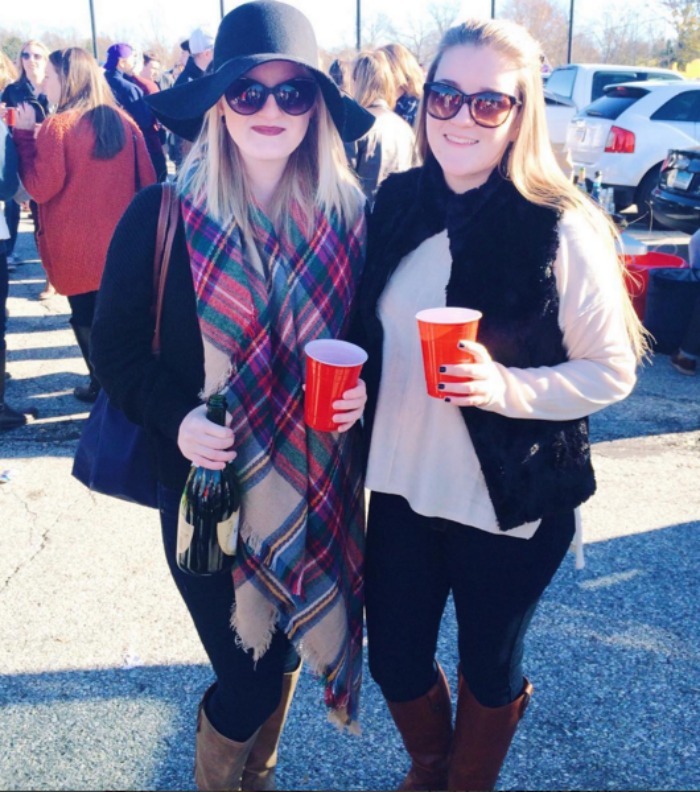 This was taken at a tailgate during Homecoming. Homecoming is one of my favorite events at school and I had a great time this year. I invited my sister to come along and we had a blast! It was also the perfect excuse to wear adorable fall outfits. 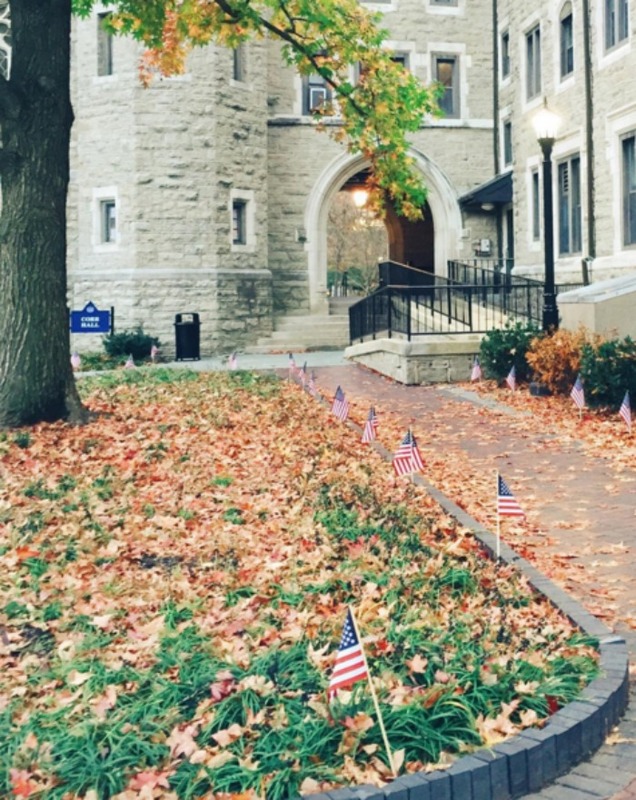 On Veteran's Day the entire campus was outlined in American' flags, which was beautiful. I loved this gesture and took this picture while walking back from class. Cozying up is my favorite way to spend a Sunday. Wearing warm socks and reading magazines in bed is a great way to do just that. It's also a very good way to procrastinate from doing your homework! This is my favorite blanket scarf and I love to wear it with this loose green cardigan I have. 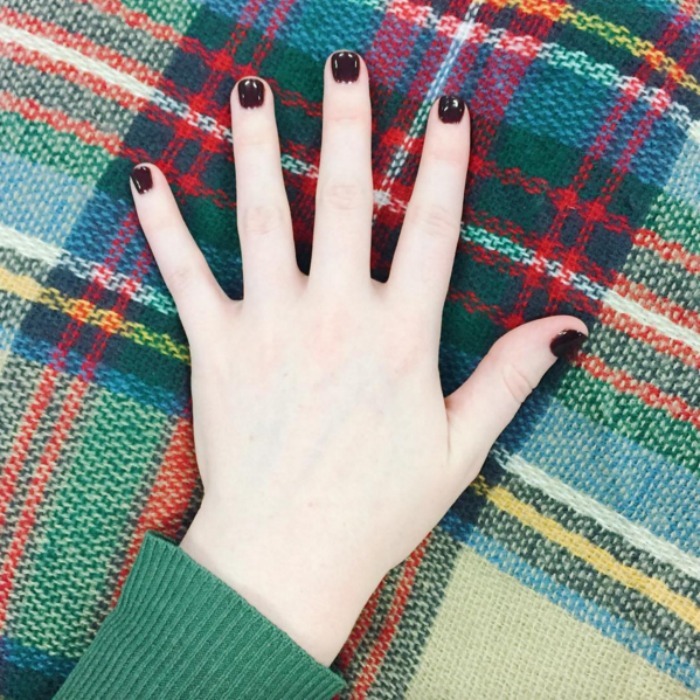 These two items combined with my dark nails were making me feel so fall! Definitely one of my favorite looks. 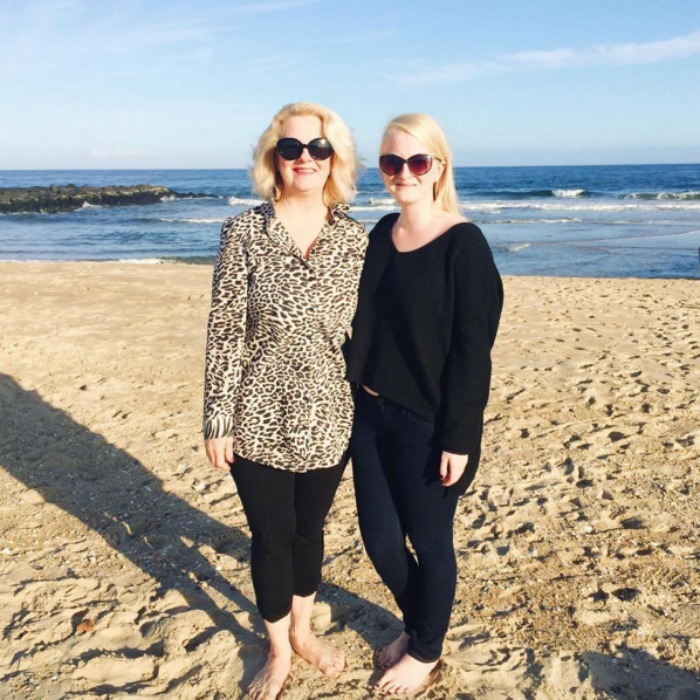 In New Jersey it was so unseasonably warm on Thanksgiving that we decided to head to the beach for a little bit. We walked around (barefoot!) and took some great pictures. I love how this picture with my Mom turned out and I'm always thankful for her! This picture was taken the same day as the one above. It really was the most beautiful day on the beach and I'm so glad we got to enjoy it! So this was my November in pictures! Come check me out on Instagram (@theblushblonde) and follow along with me to see more of what's here! How was your November? These are great pictures! 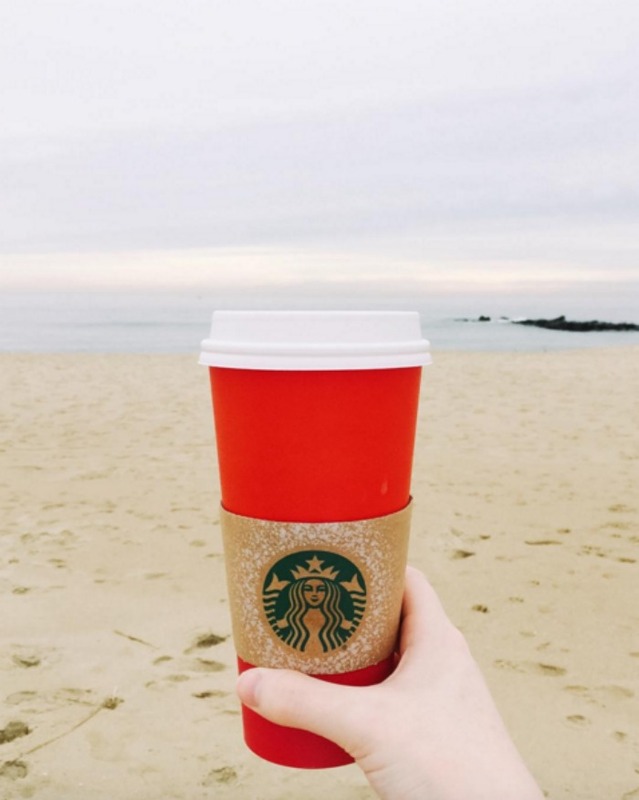 I especially like the Starbucks on the beach one. I need to step up my Instagram game! 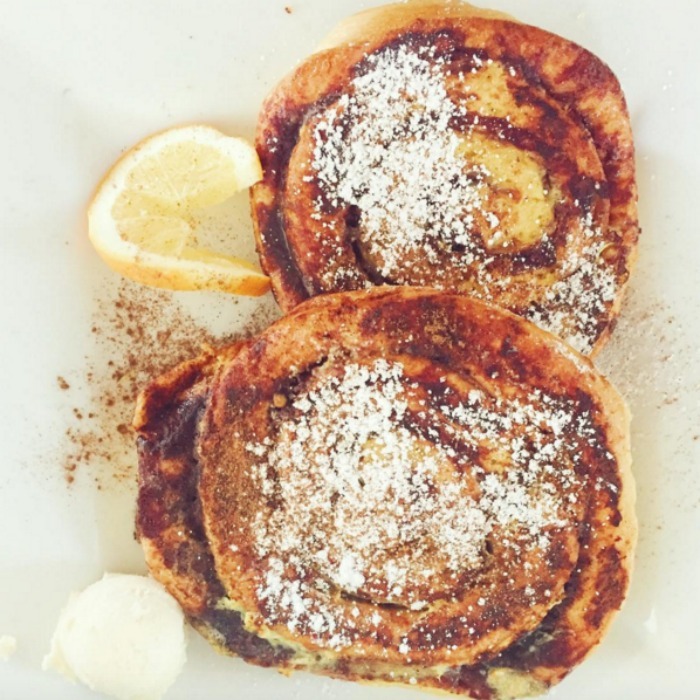 That cinnamon bun french toast looks amazing! You have so many lovely photos this month. The picture of you and your mom at the beach is so cute and I love the outfits you and your sister wore for homecoming. I can't believe it is December! !